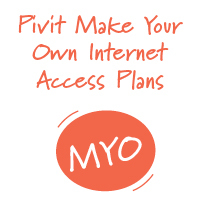 Pivit’s Make Your Own plans give you the flexibility to choose the Internet and the telephone plan that you need. 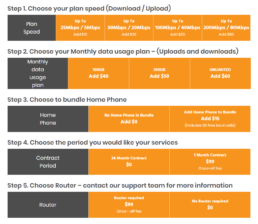 Click on one option from each plan component below, and your total monthly charge will be shown at the end. 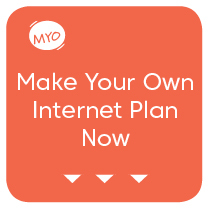 All Make Your Own plans have no excess usage charges. If you are not on an LBN Co Network please check to see if we can provide you with plans on the NBN Network or the Pivit network.